Comic Book Brain Splatter: First Look at HYDRA Agent Bobbi Morse from Agents of S.H.I.E.L.D. First Look at HYDRA Agent Bobbi Morse from Agents of S.H.I.E.L.D. 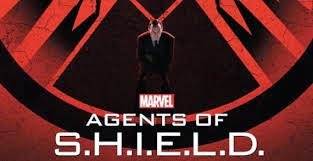 The producers of Agents of S.H.I.E.L.D. have teased that the introduction of Bobbi Morse into the MCU might not be as smooth as expected for everyone involved. 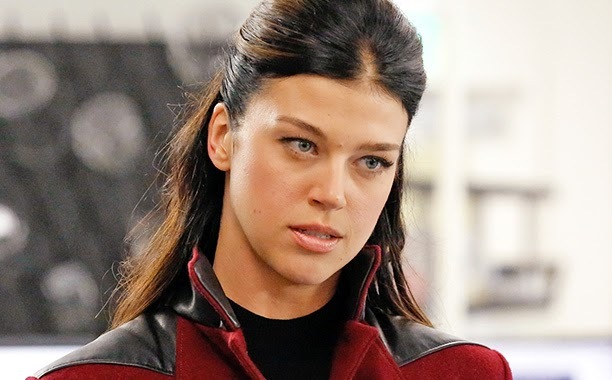 After the jump, take your first look at Adrianne Palicki as Bobbi Morse, head of HYDRA Security, courtesy of Entertainment Weekly. We will get our first look at Mockingbird in action in Episode 2.05, "A Hen in the Wolf House" and, based on the title and what we know about the character, it's safe to say that Agent Morse's allegiance to HYDRA may not quite be what it seems. While there's no telling what changes the show runners will make, it's hard to see someone like Mockingbird not being revealed as an undercover S.H.I.E.L.D. agent (honestly, she already has been in the early promotion of her character).